Soccer (called football in elsewhere outside the United States) is a global phenomenon and is undoubtedly the world’s #1 sport. Super Arcade Soccer may not be in the same league as EA’s FIFA or Konami’s PES, but it provides a pure soccer experience comparable to old yet gold SNES and Gameboy titles. Want to find out more? Let's take a closer look! First off, it’s a mistake to compare Super Arcade Soccer to deep and immersive football franchises like EA’s FIFA or Konami’s PES. If old-school coin slot arcades had soccer games, this would be it. No team composition, minimal stats, player names, and deep tactics to concern yourself with. It provides a pure, unadulterated soccer experience. 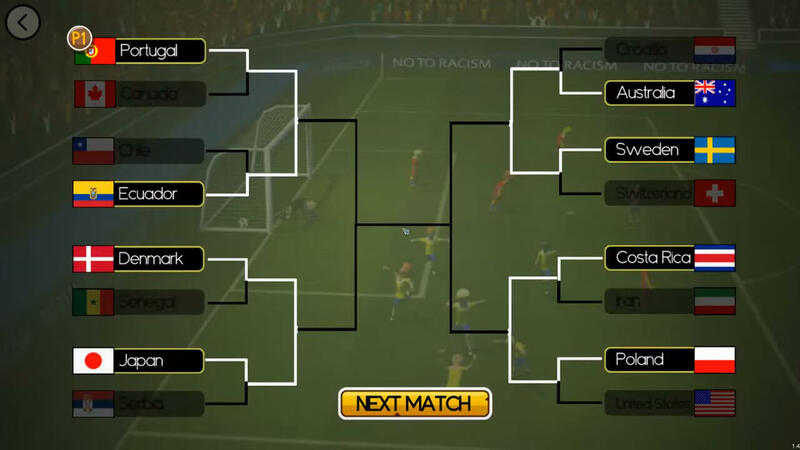 Apart from the standard exhibition mode, it has its own version of World Cup which is a 16-man KO tournament featuring random teams. Wrapping it all up is a multiplayer mode which is a simple versus mode, though you need to have separate controllers, one for each player. 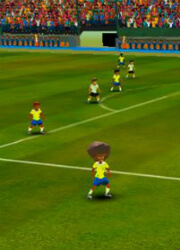 Super Arcade Soccer is a tough game to start playing and the learning curve is a steep slope. Unless if you have an Xbox or Steam controller, you’ll have to be content with the keyboard controls which is a bit of a chore. Playing sports games on a keyboard will never be easy. Figuring out Super Arcade Soccer’s passing and shooting mechanics is as difficult as playing defense on Lionel Messi. This comes from someone who has invested hundreds of hours playing FIFA 09, 12, 15, 16, and 18. 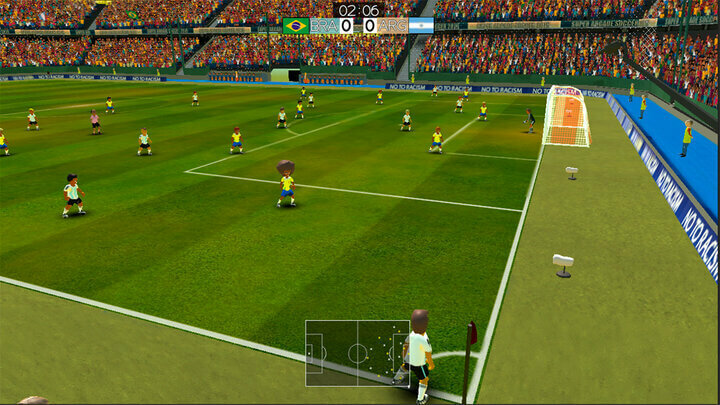 The passing is extremely hard since unlike most soccer games, the ball won’t head off automatically to your players. Instead, you have to wisely use ground and air through passes instead of direct ones. This feels janky and unrefined, but it adds a layer of challenge. As for its shooting mechanics, the goalies are immovable gatekeepers. Scoring is nearly impossible at first and it feels like you need to do something extraordinary to get through them. There are no options for ground and aerial shots. Instead, you have to watch and time the power gauge right and be conscious of where you’re aiming. At times though, they fumble their goal kicks and throws which is hilarious. 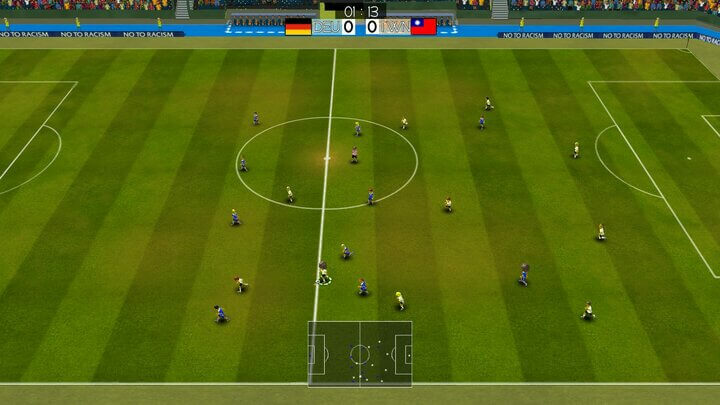 Super Arcade Soccer’s AI feels overpowered. It’s hard to keep possession or even pass since they’re in front of you like Gerard Pique every time you try to pass. Shots and passes always get blocked/intercepted. However, if they’re the ones shooting, it’s as if they’ve forgotten how to play the sport. In some intervals, they even run towards the goalie without ever taking a shot. In any case, your chosen team’s overall rating barely matters: a team like Taiwan can beat you even if you’re using Germany if you don’t take time to master the game’s physics and other elements. However, once you've managed to score a win, you can relive your sweet victorious moment with the game's Replay cam. The game has no online multiplayer which is a lost opportunity. It would have been great to play with other players over the internet. Instead, you’ll have to be content with a two-player versus with a friend. 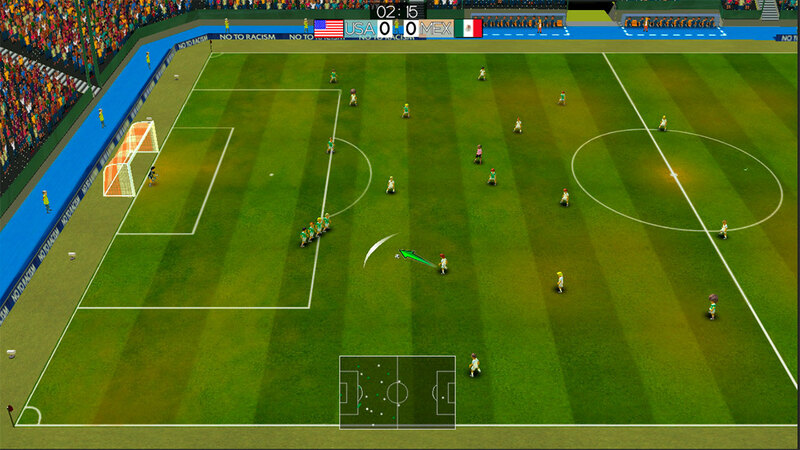 Super Arcade Soccer’s presentation elements feel and look more like a retro game than a realistic one. The character models do not look like cookies made with the same cutter. Instead, there are models with characters wearing different hairdos like afros and mohawks. Though not based on real players (as the game doesn’t show player names at all), it feels like they are. When I played using Belgium, I swear the players looked like Axel Witsel and Kevin de Bruyne. However, note that the game uses the same models for all teams. Nevertheless, it captures the same kind of atmosphere you’ll get to experience in a high-profile football match: a stadium filled to the brim with spectators, cheering wildly for their team and waving their flag. There’s no commentary, but whenever you commit a foul or something extraordinary happens, you can hear the referee bark instructions. 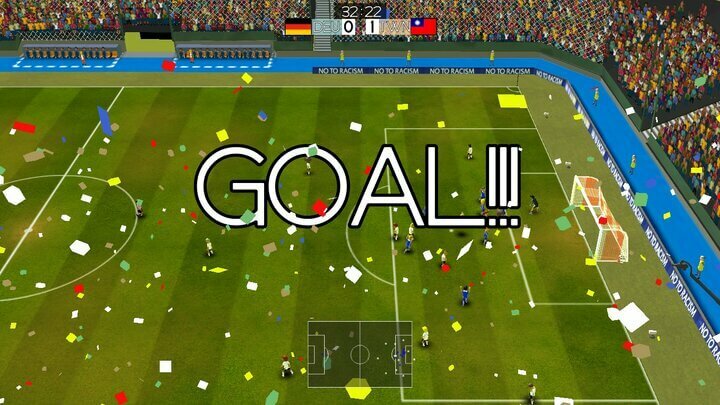 Though essentially an arcade game, it provides a near replica of a football atmosphere. There are also different camera selections (apart from the standard one) which you can adjust to your preferences. 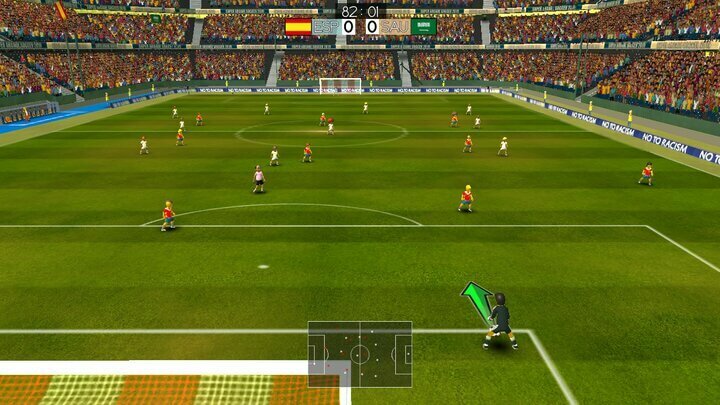 Overall, Super Arcade Soccer is definitely a game for anyone looking for an inexpensive yet fun and challenging soccer game. Though it does not have the nooks and crannies FIFA and PES has, it’s a pure, no-nonsense arcade football experience you definitely have to try out. 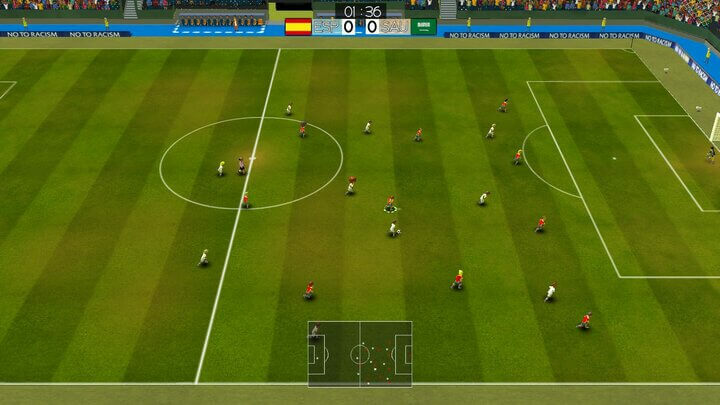 So, start getting into the pitch and play using your favorite (or your own) national team! Start scoring goals, make precise and well-timed lob passes and start winning! 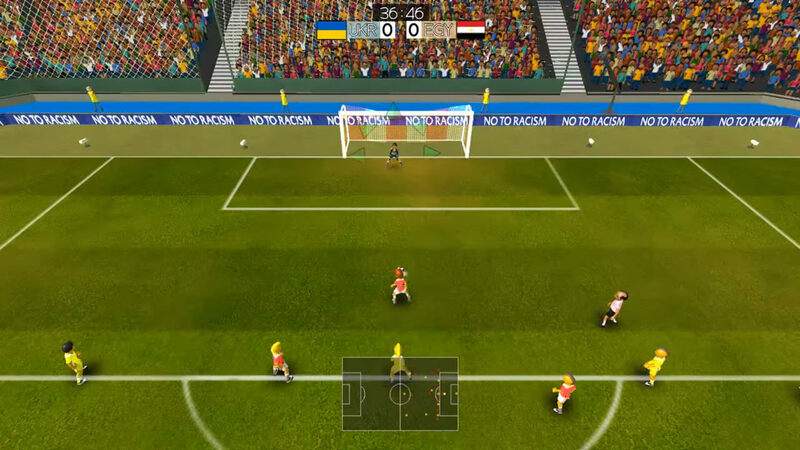 by Mikhail Apr 11, 2019 Super Arcade Soccer is a true arcade soccer experience. 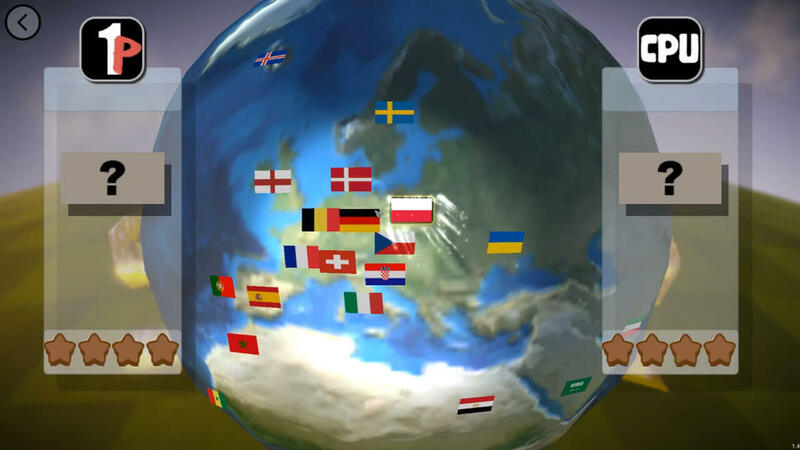 Choose between teams from powerhouses like Spain, Germany, and Portugal or opt for underdog nations. Compete in the game’s version of the World Cup - a 16-team knock out tournament - or just play exhibition matches or opt for couch versus with another player. Read More Be the First to Post a Review!